Just what I wanted....soft pillows for my shams. If you are looking for firm this wouldn’t be a good choice. 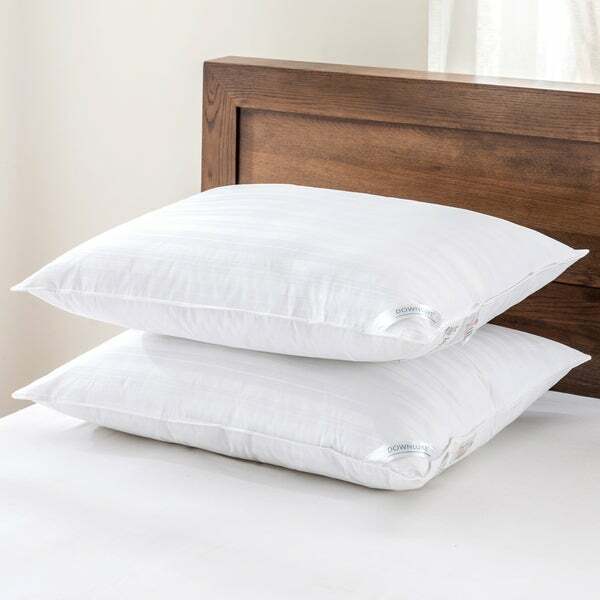 Rest your head on these high-quality pillows knowing you can go to sleep in pure comfort. It has been fluffed by the top quality fiber fill that fluffs up incredibly to give you a cozy feel and a relaxing sleep to that 5-star hotel feeling every morning. As far as pillows go, this one is about as good as it gets. Moreover, they are breathable and can easily be molded to provide support where you need it. Dimensions 28.0 In. X 20.0 In. X 2.0 In. Love these- they are very comfortable and retain a good shape. Because what I really wanted got lost in shipping!